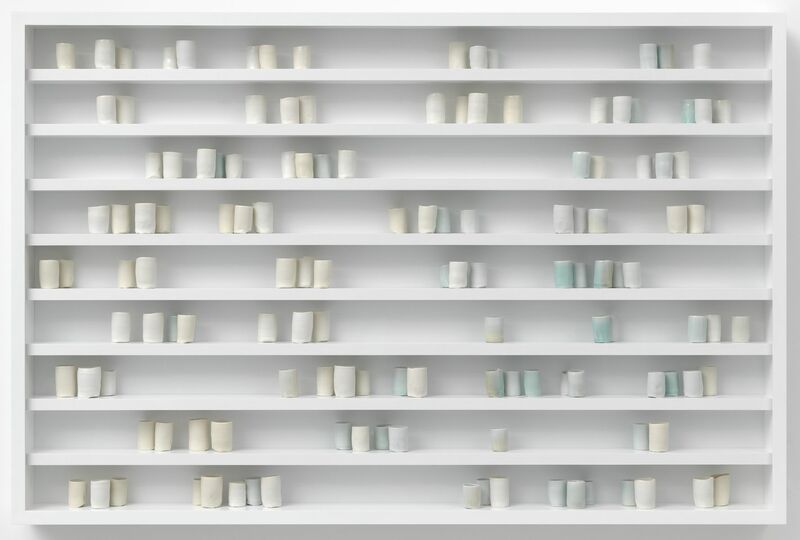 Edmund de Waal's art and literature speak to his enduring fascination with the nature of objects, and the narratives of their collection and display. 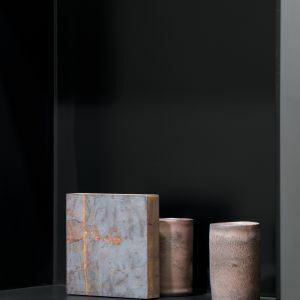 A potter since childhood and an acclaimed writer, his obsession with porcelain or “white gold” has led to encounters with many people and places that help deepen his understanding of the nature of the material. 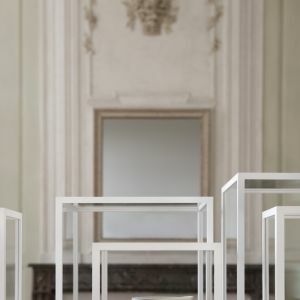 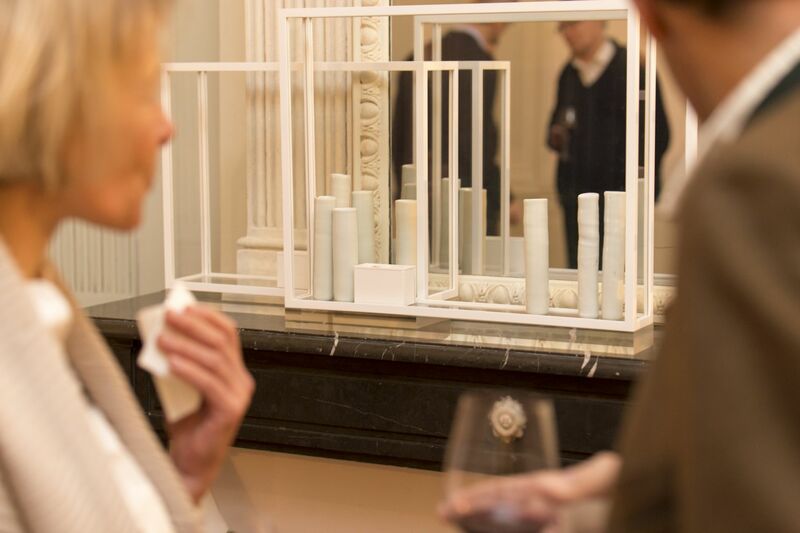 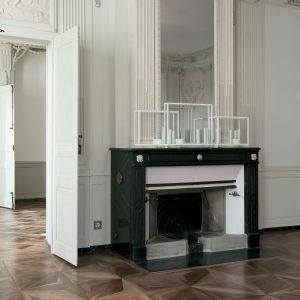 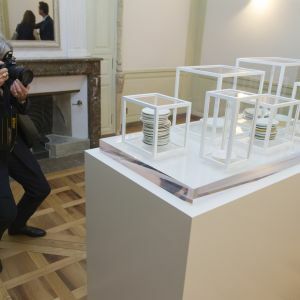 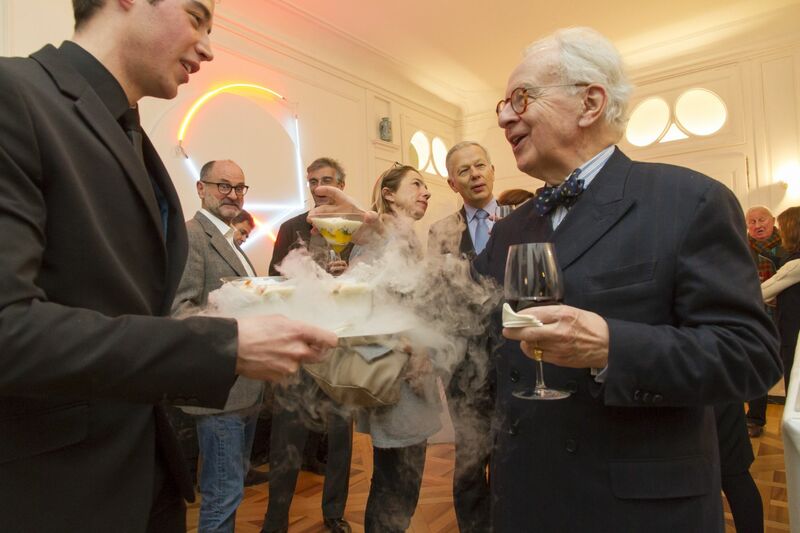 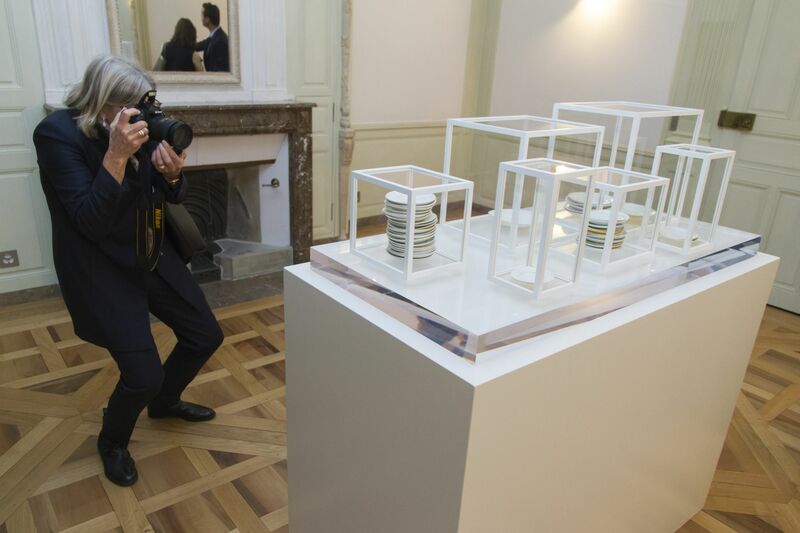 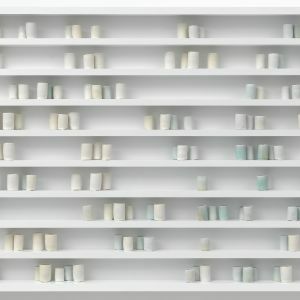 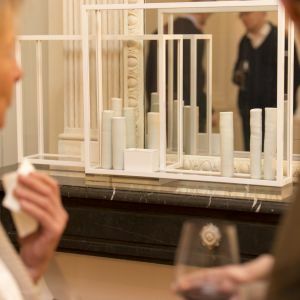 De Waal is best known for his large scale installations of porcelain vessels, which have been exhibited in many museums around the world. 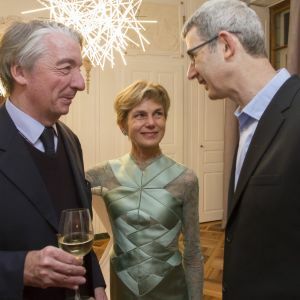 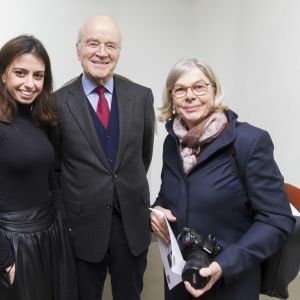 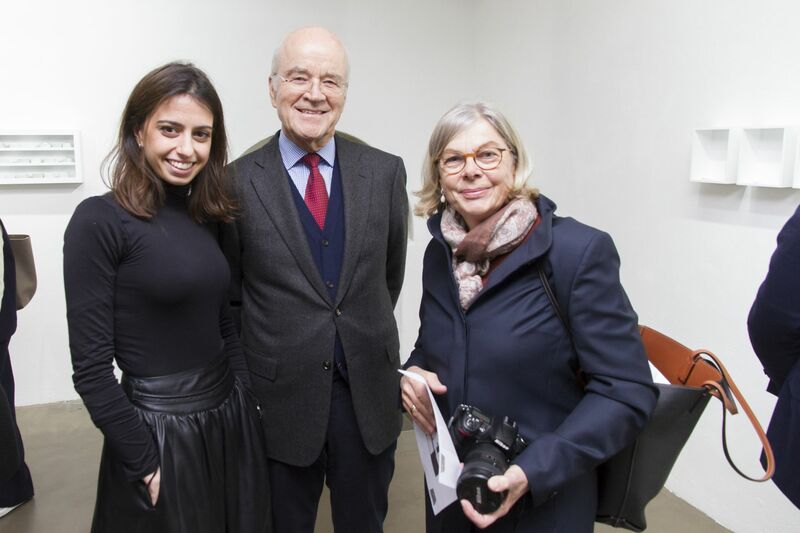 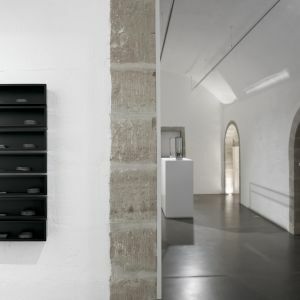 Much of his recent work has been concerned with ideas of collecting and collections, and how objects are kept together, lost, stolen and dispersed. 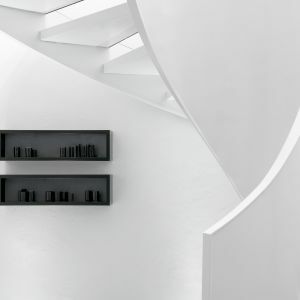 His work comes out of a dialogue between minimalism, architecture and sound, and is informed by his passion for literature. 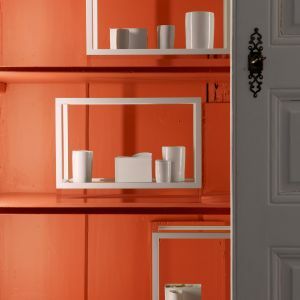 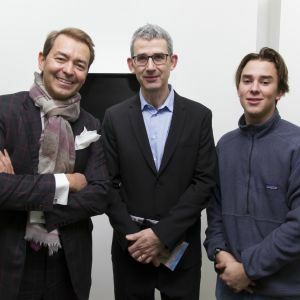 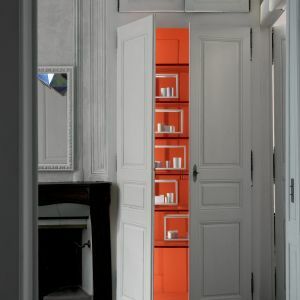 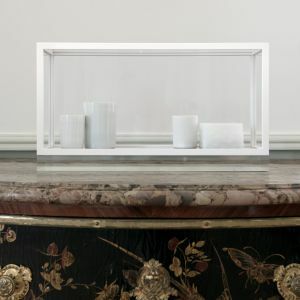 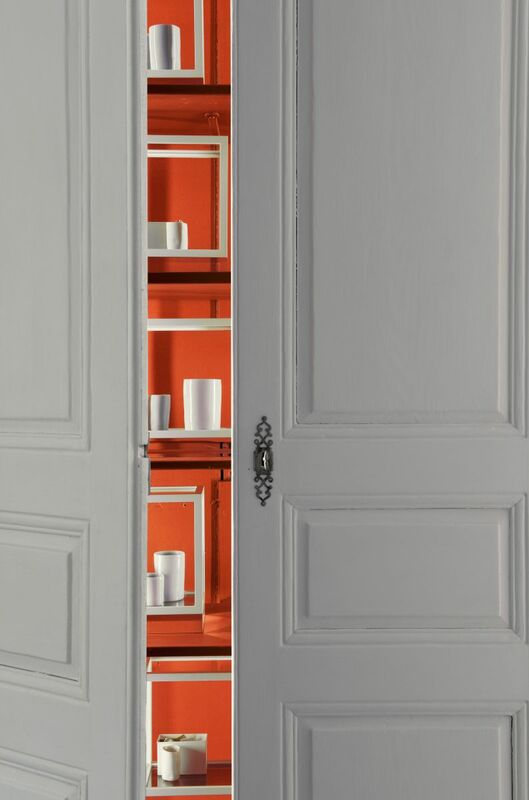 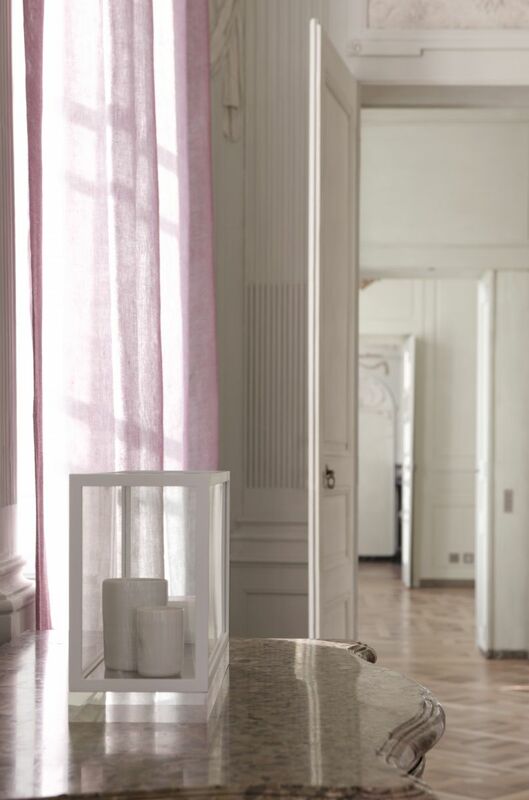 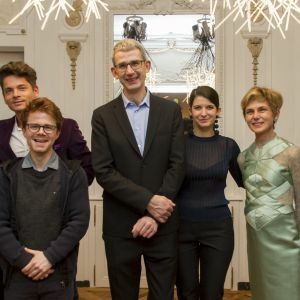 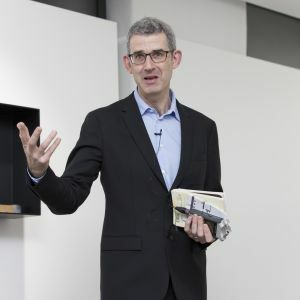 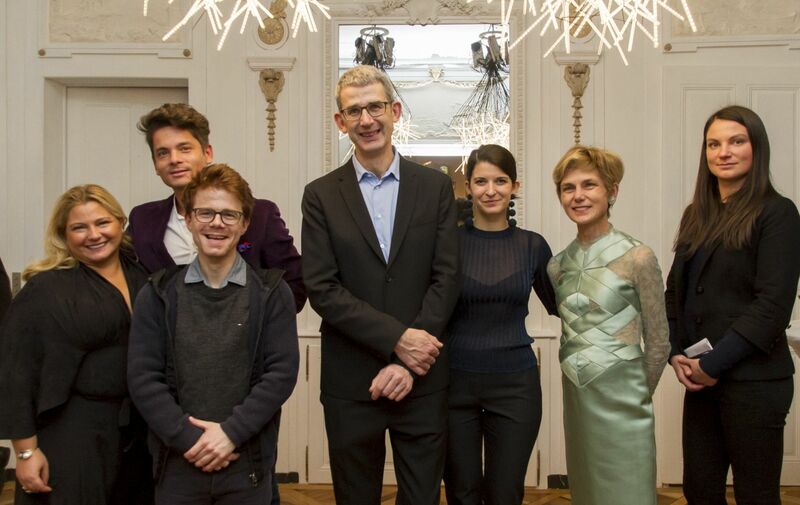 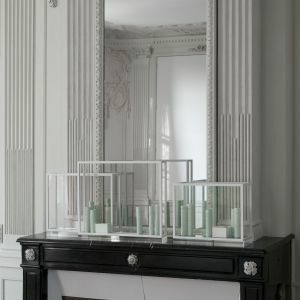 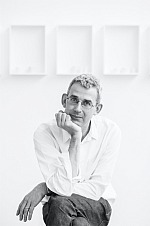 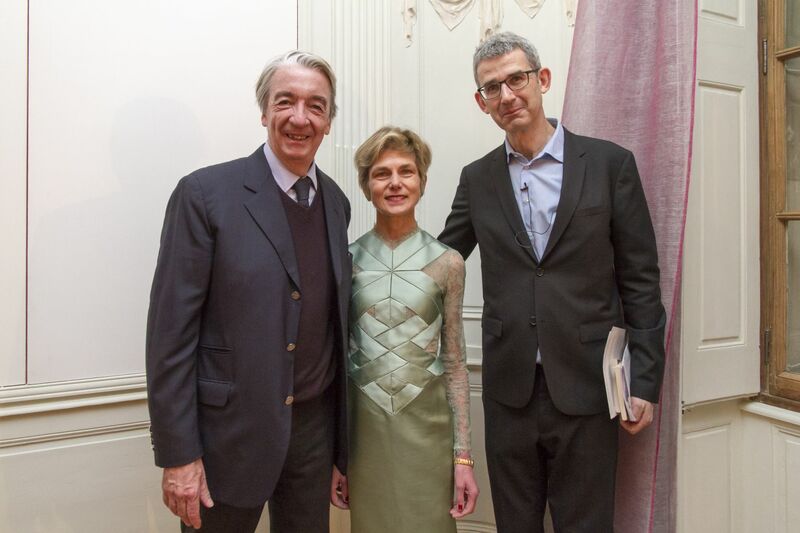 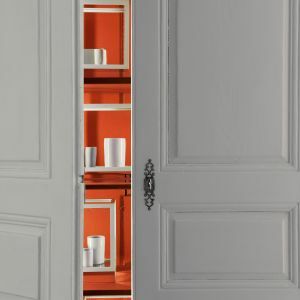 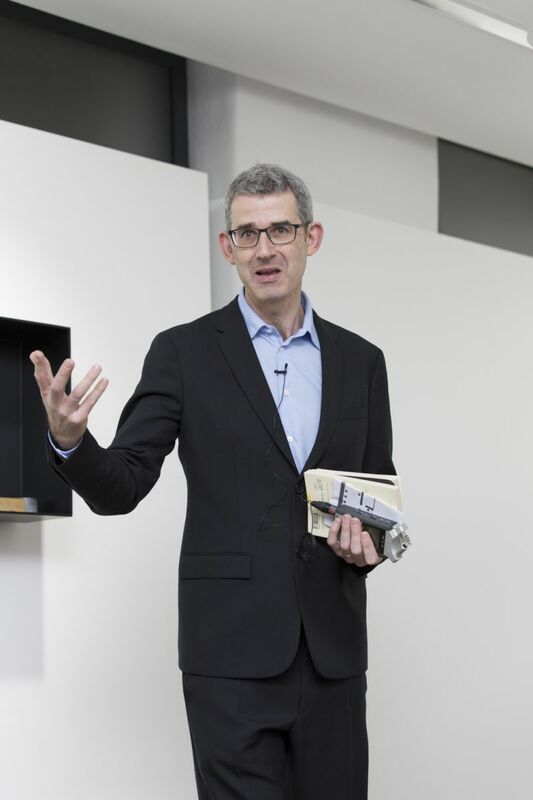 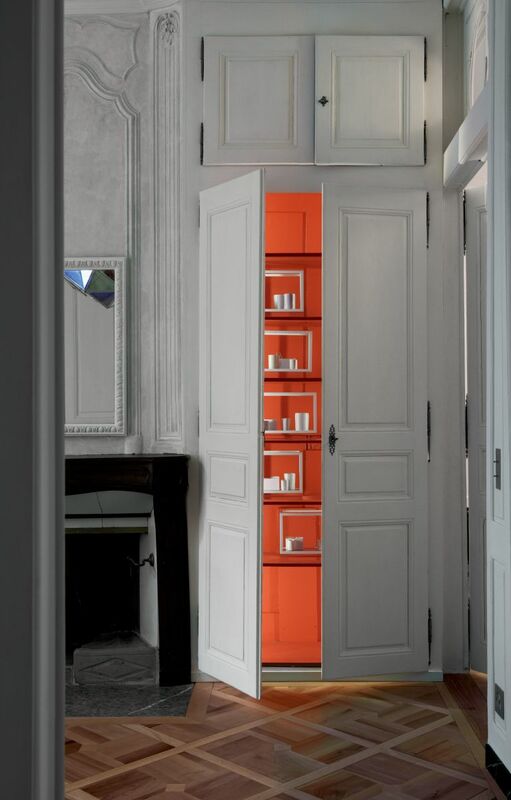 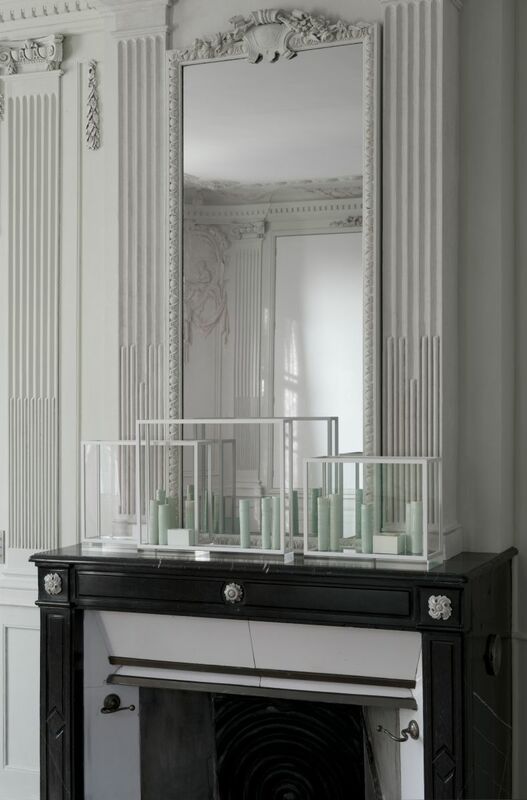 Edmund de Waal was born in 1964 in Nottingham, England. 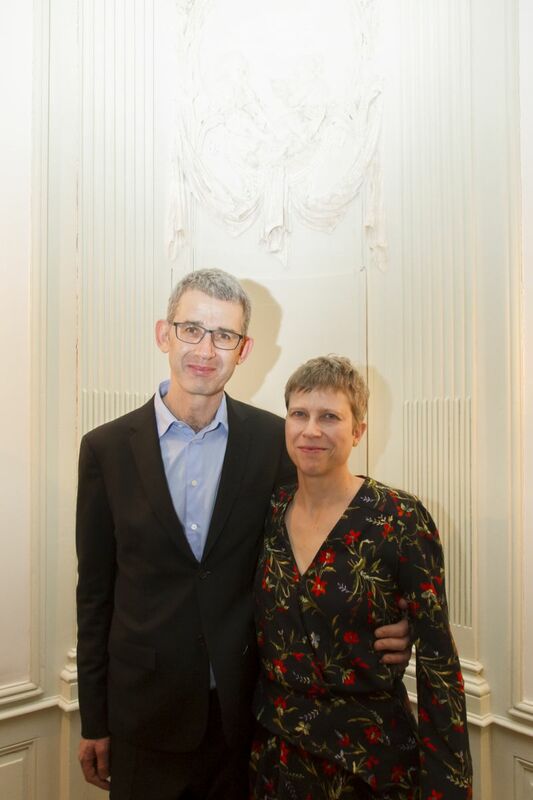 He received his B.A. 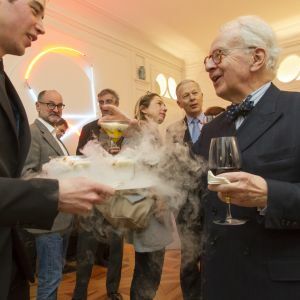 Honors in 1983 from the University of Cambridge, England, and received his Post–Graduate Diploma in 1992 from the University of Sheffield, England. 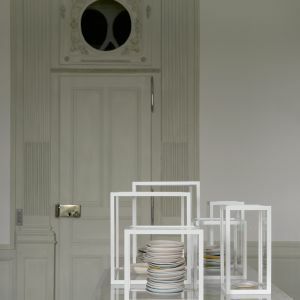 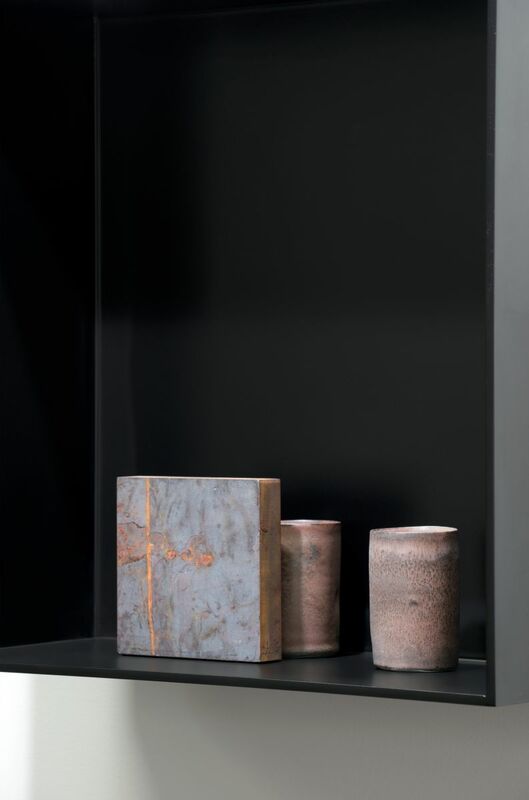 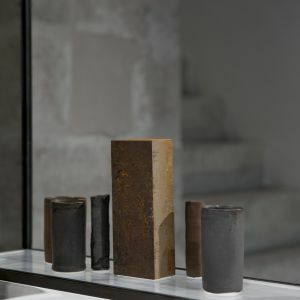 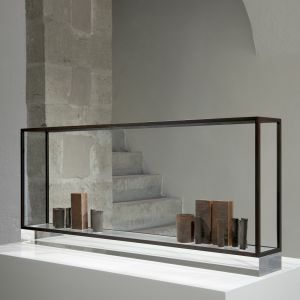 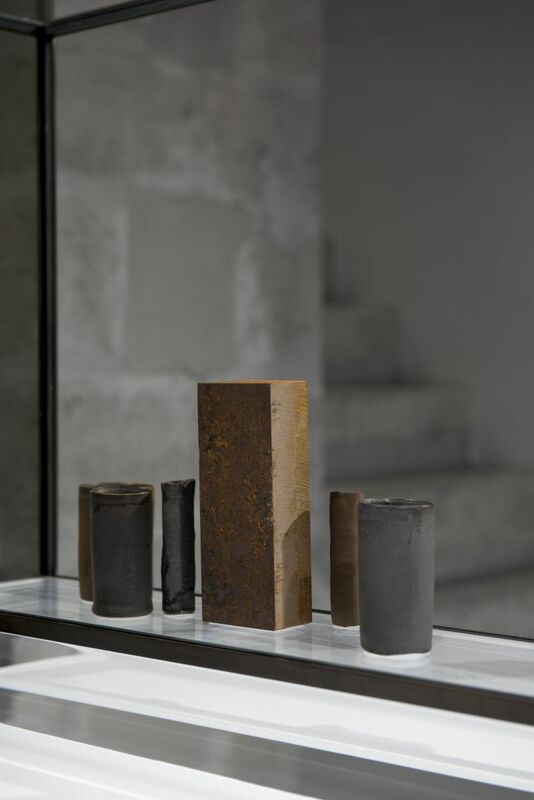 De Waal completed his Senior Research Fellow in Ceramics in 2002 from the University of Westminster, London. 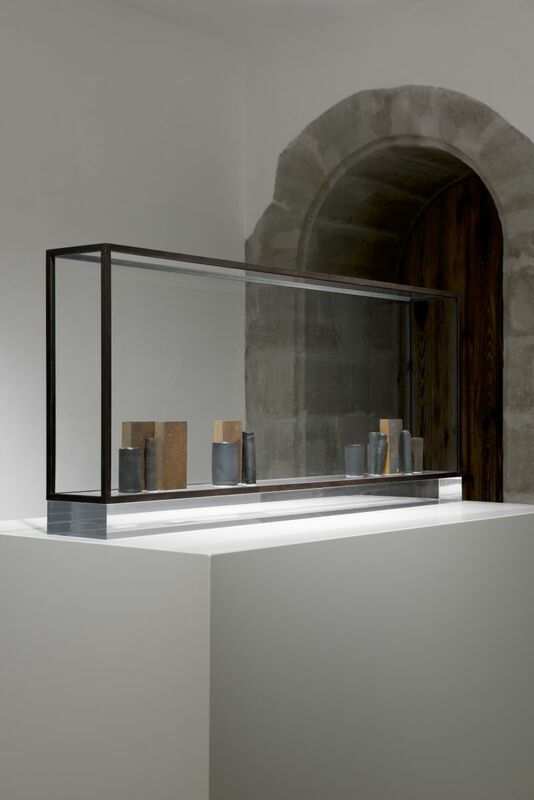 Recent solo museum exhibitions include “Ceramic Rooms,” Geffrye Museum, London (2001); New Art Centre, Roche Court, England (2004); “Arcanum,” National Museums and Galleries of Wales, Cardiff (2005); “Vessel, perhaps,” Millgate Museum, England (2006); Kettle’s Yard, Cambridge, and Middlesbrough Institute of Modern Art, England (2007); “Signs & Wonders,” Victoria & Albert Museum, London (2009); “Night Work,” New Art Centre, Roche Courte, England (2010); “Edmund de Waal at Waddesdon,” Waddesdon Manor, Buckinghamshire, England (2012); “On White: Porcelain Stories from the Fitzwilliam,” University of Cambridge, Fitzwilliam Museum, England (2013); “Another Hour,” Southwark Cathedral, London (2014); “Atmosphere,” Turner Contemporary, England (2014); “Lichtzwang,” Theseus Temple, organized by Kunsthistorisches Museum, Vienna (2014); and “The lost and the found: work from Orkney,” New Art Centre, England (2015). 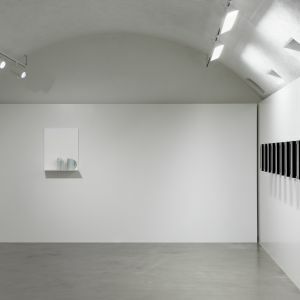 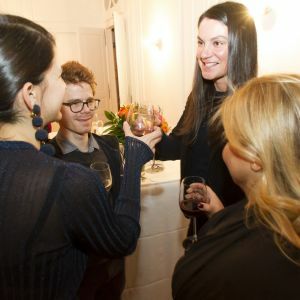 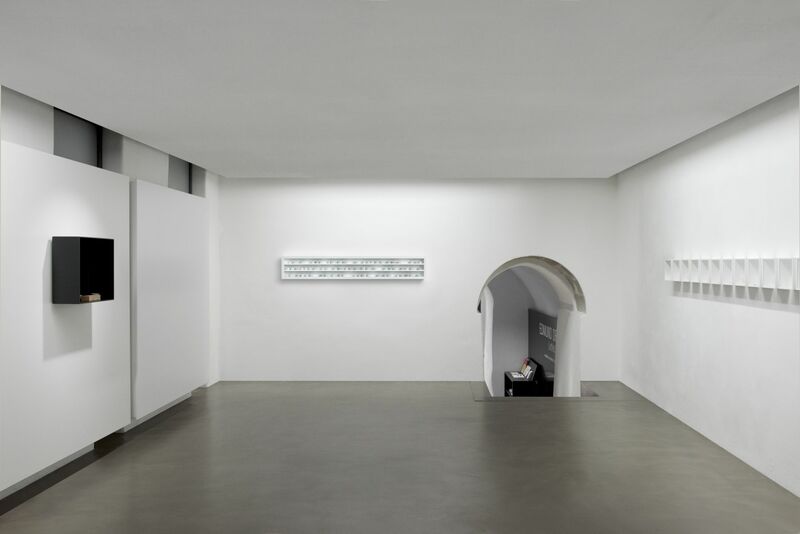 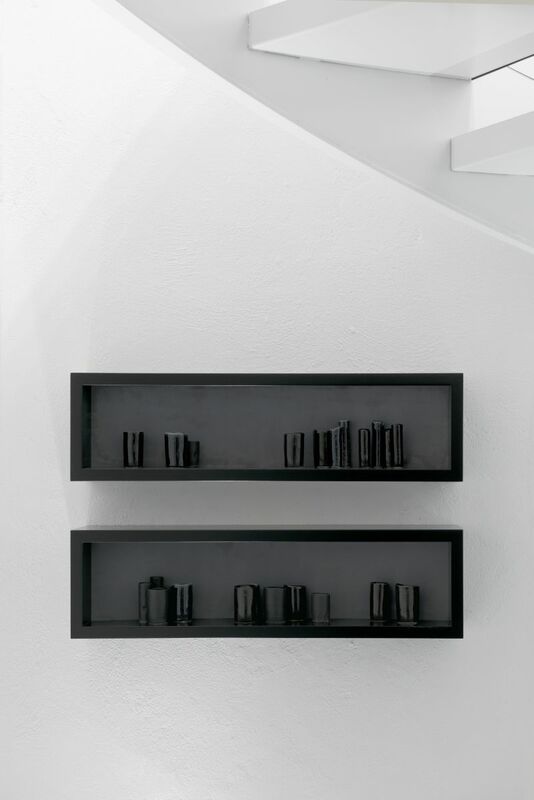 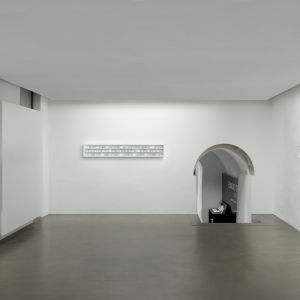 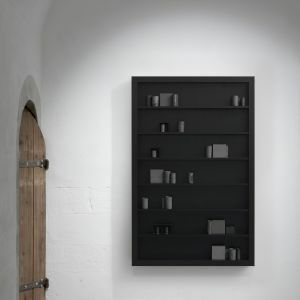 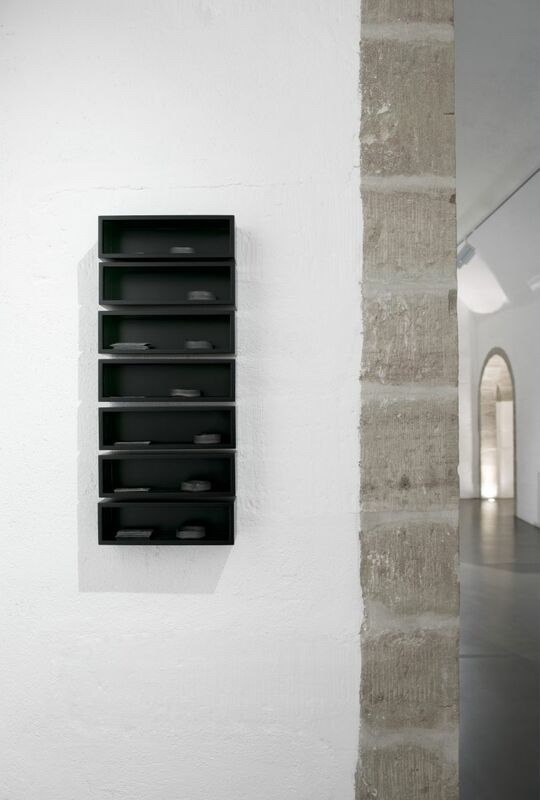 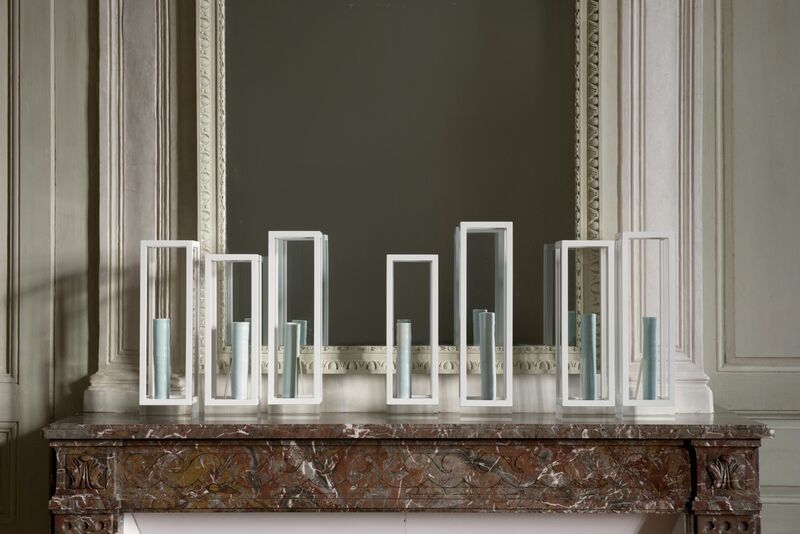 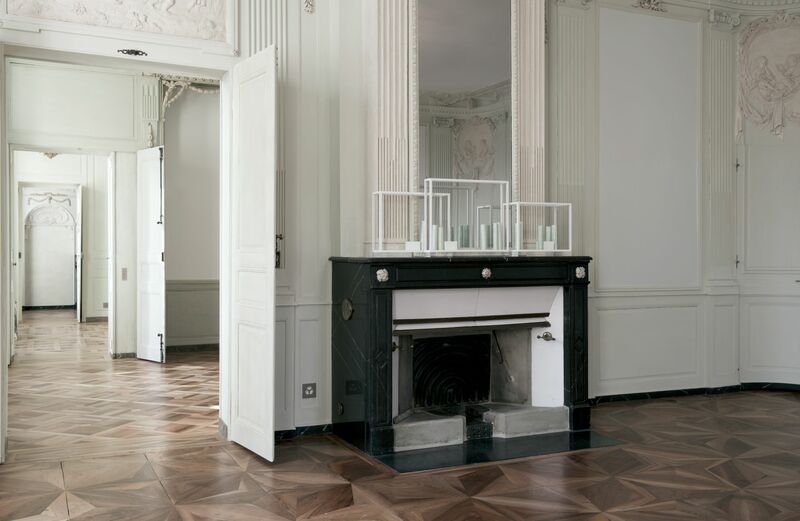 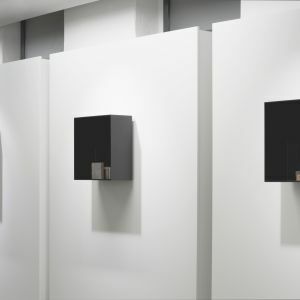 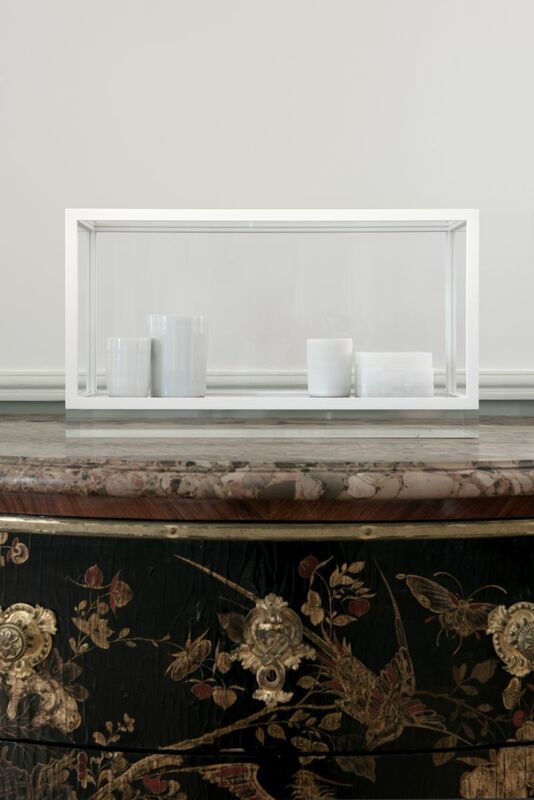 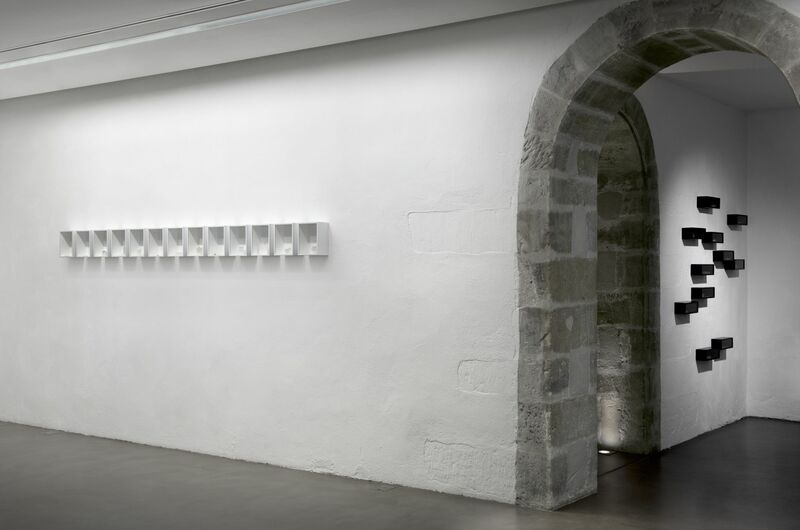 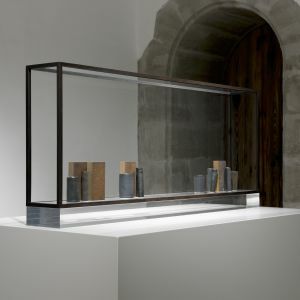 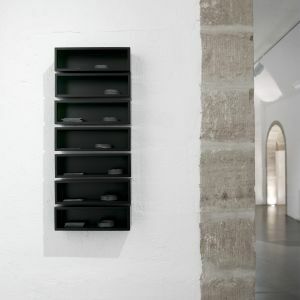 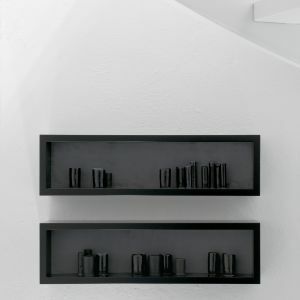 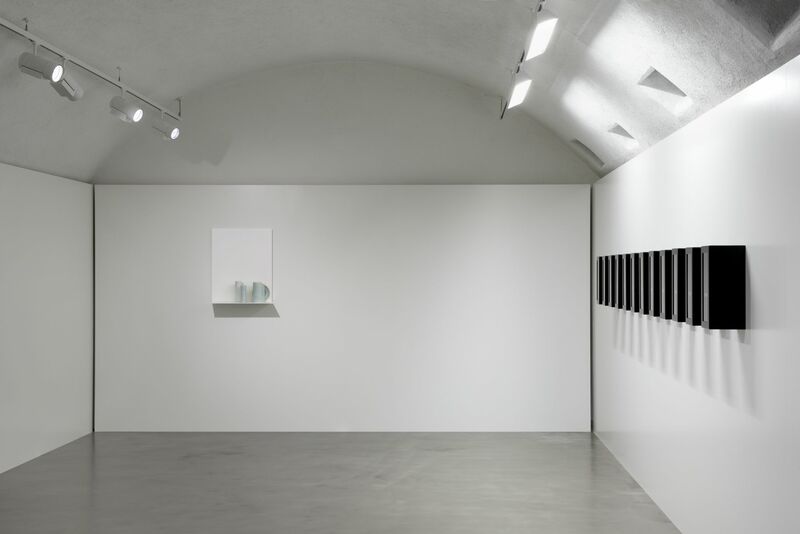 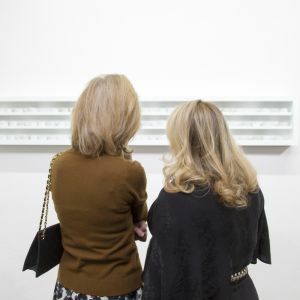 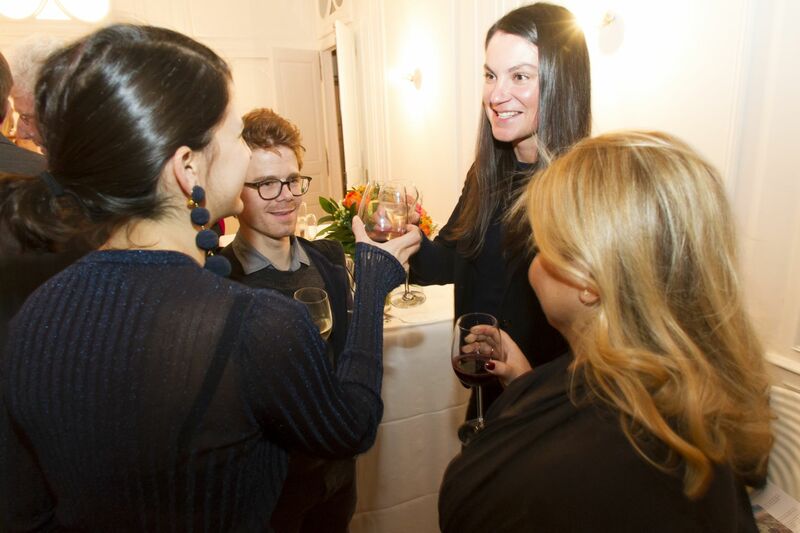 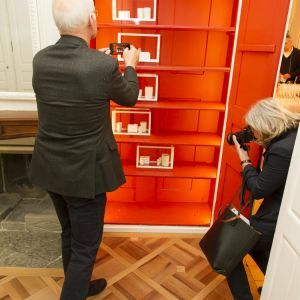 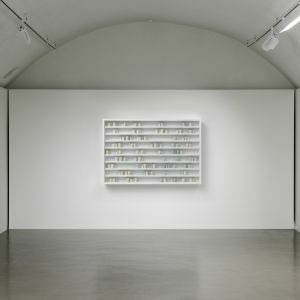 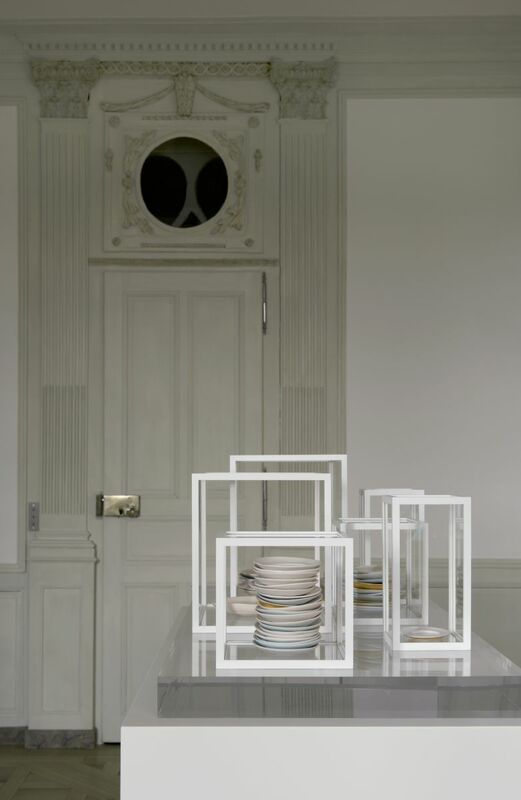 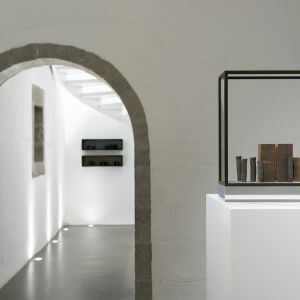 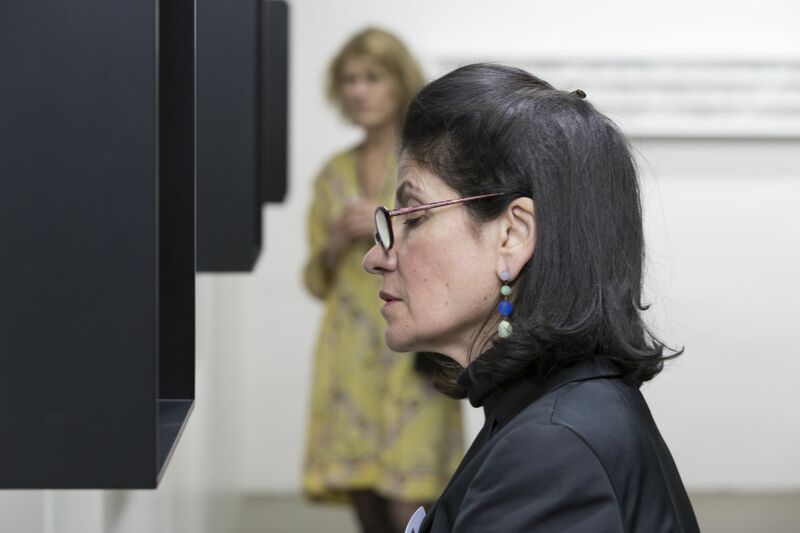 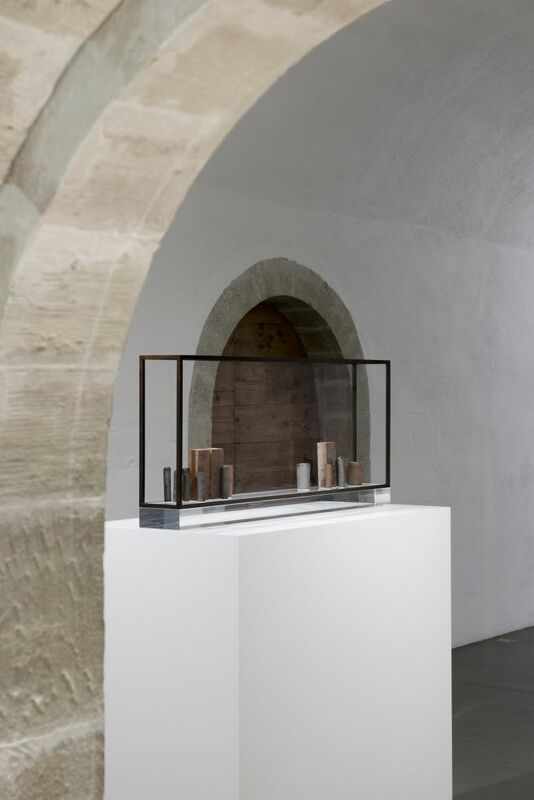 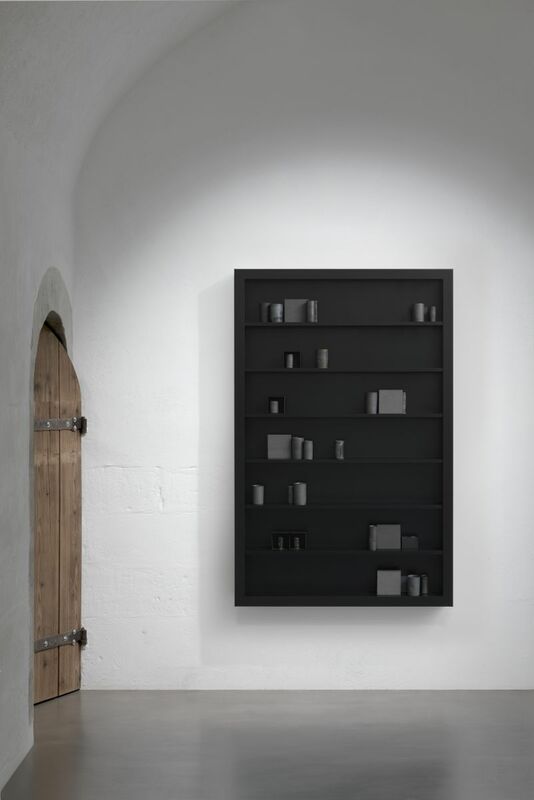 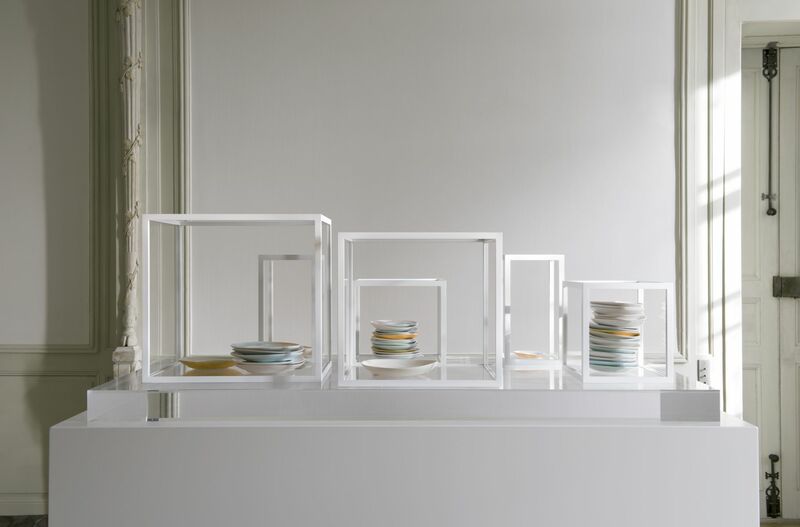 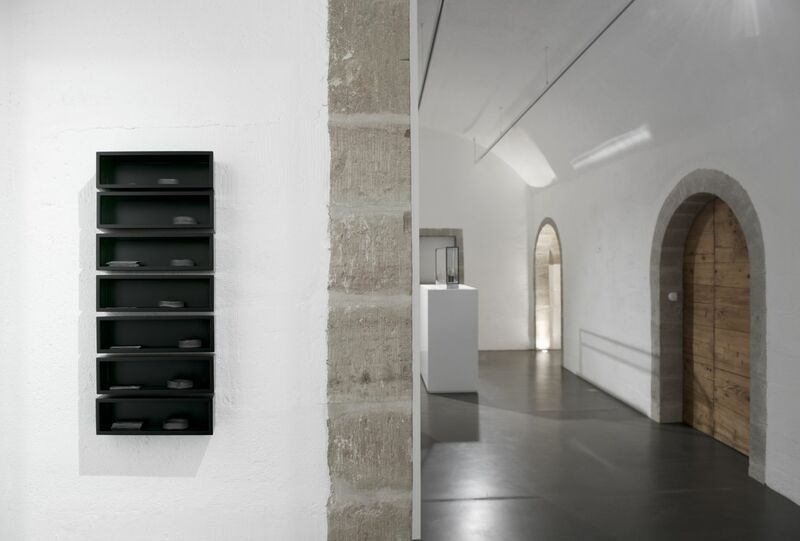 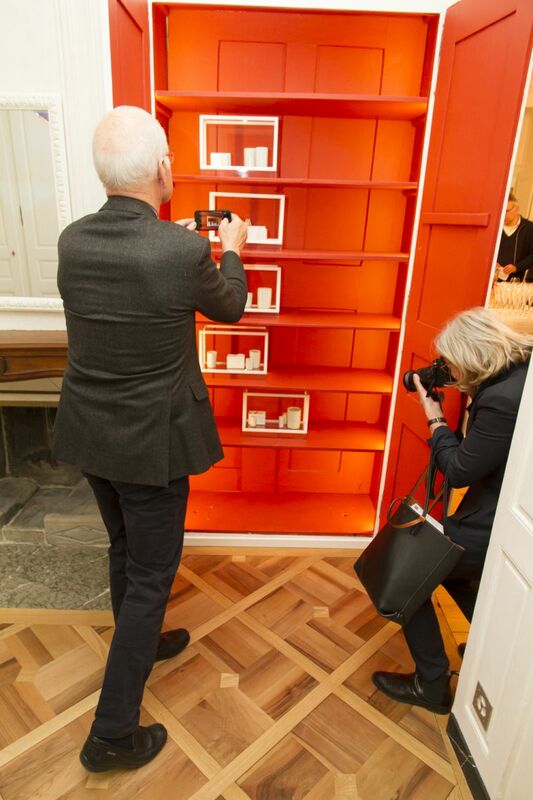 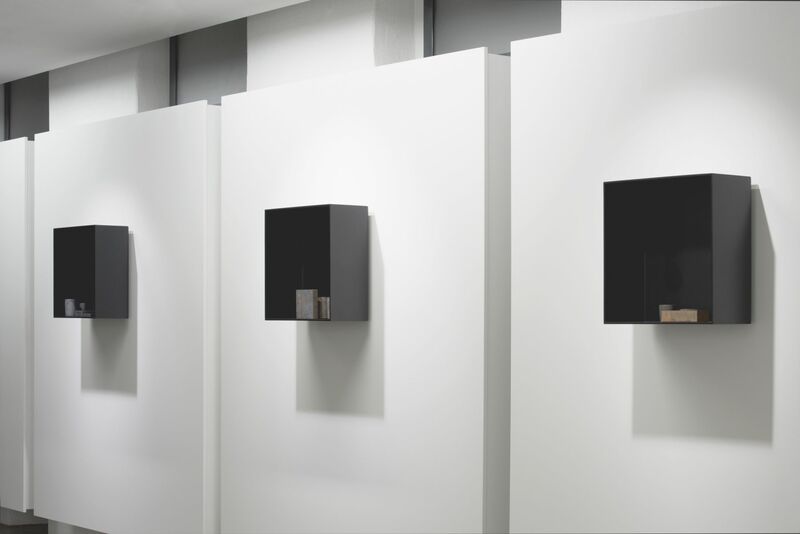 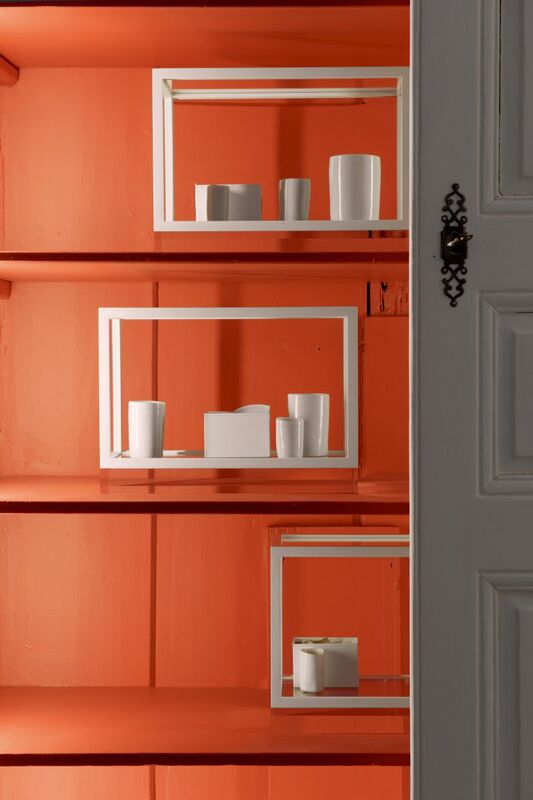 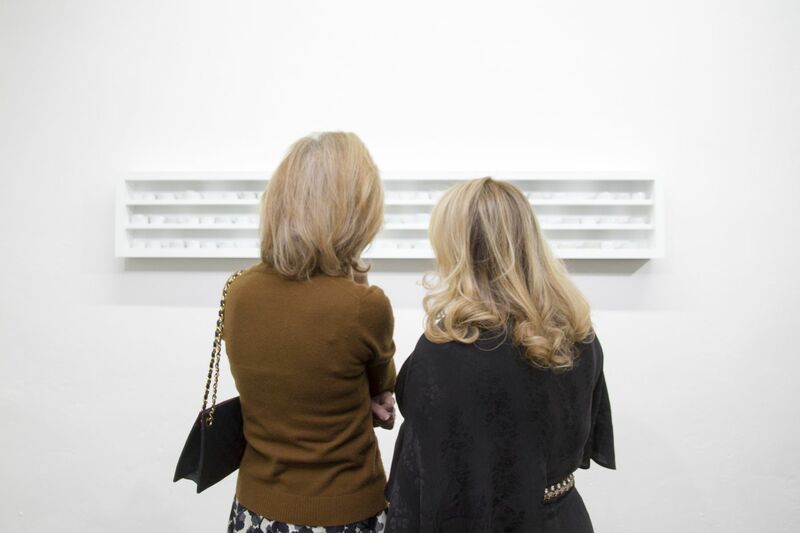 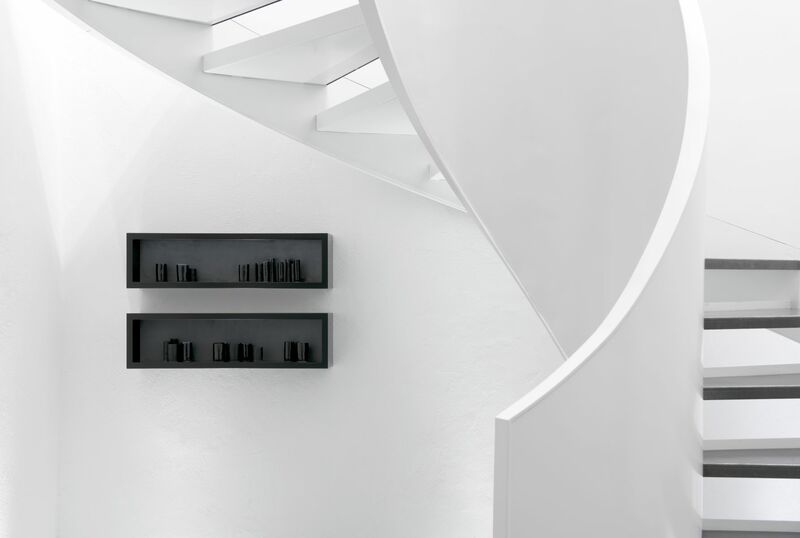 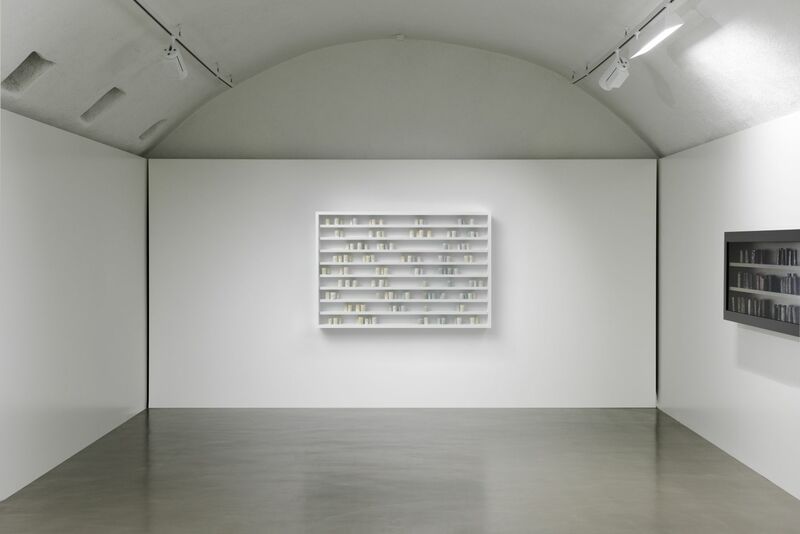 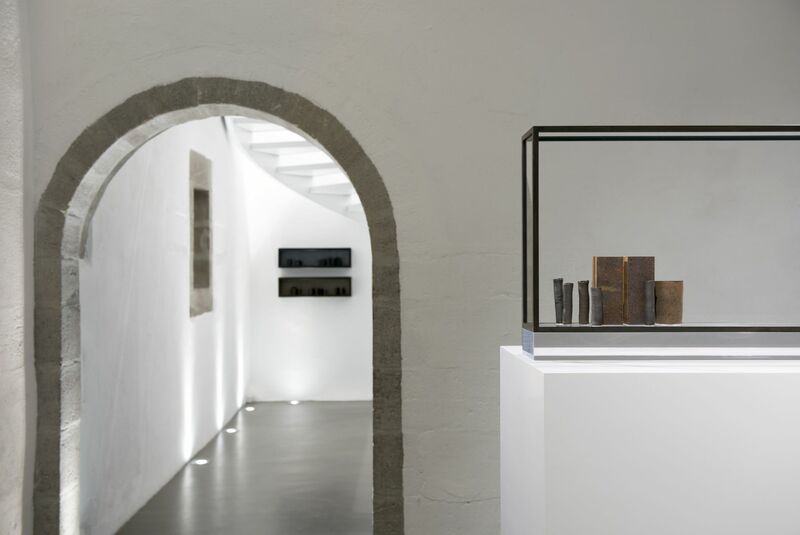 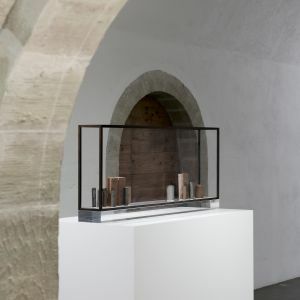 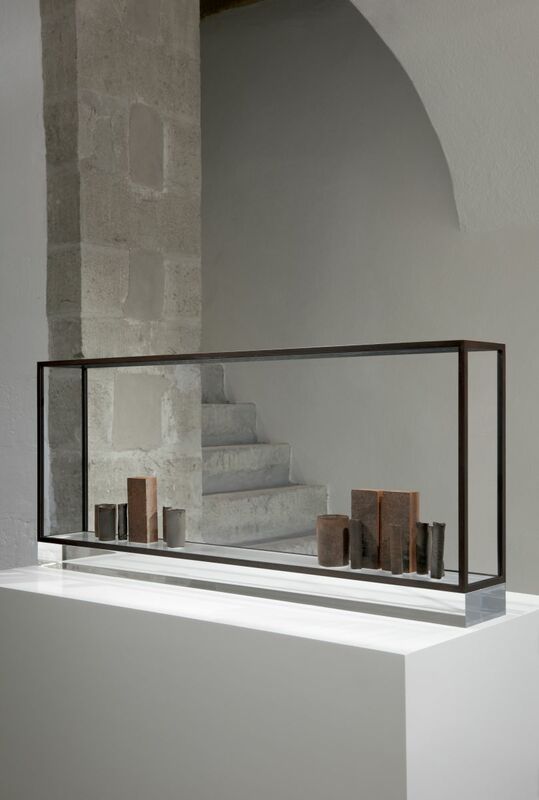 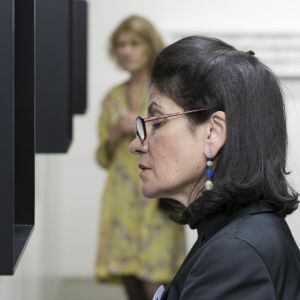 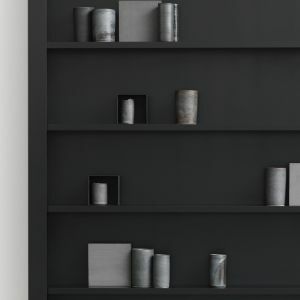 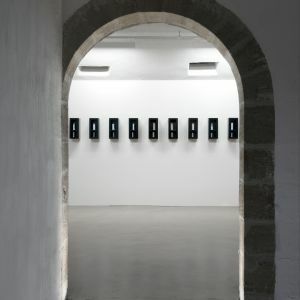 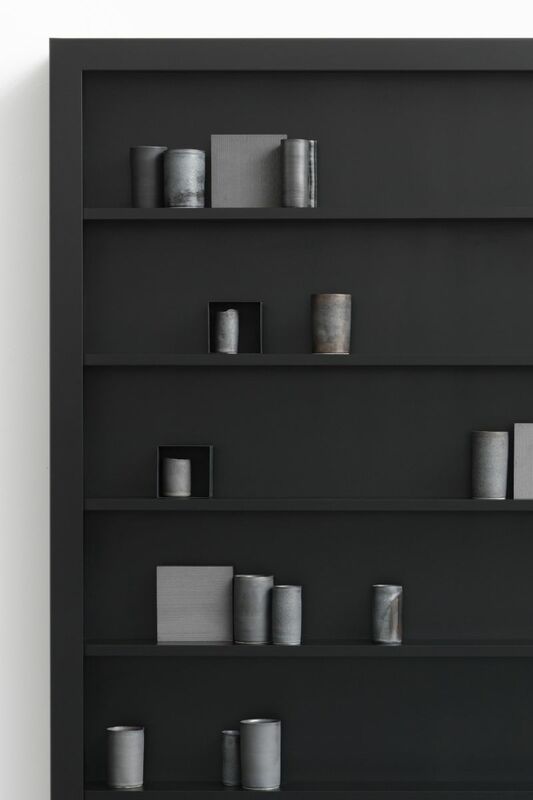 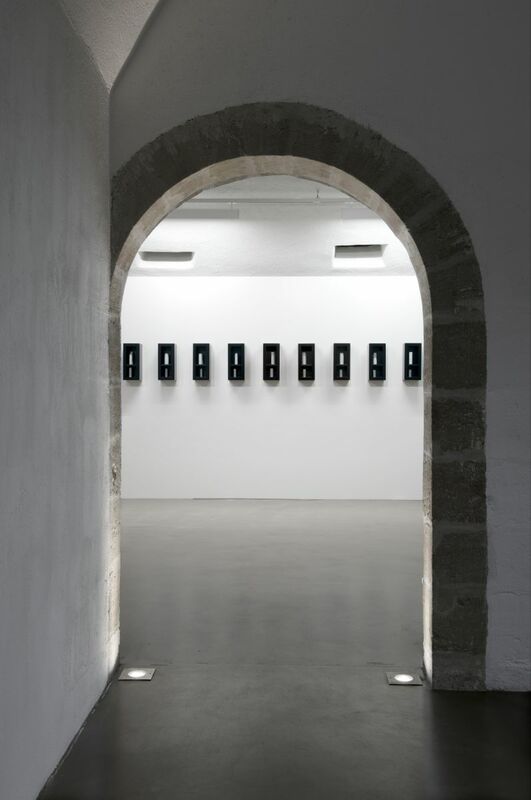 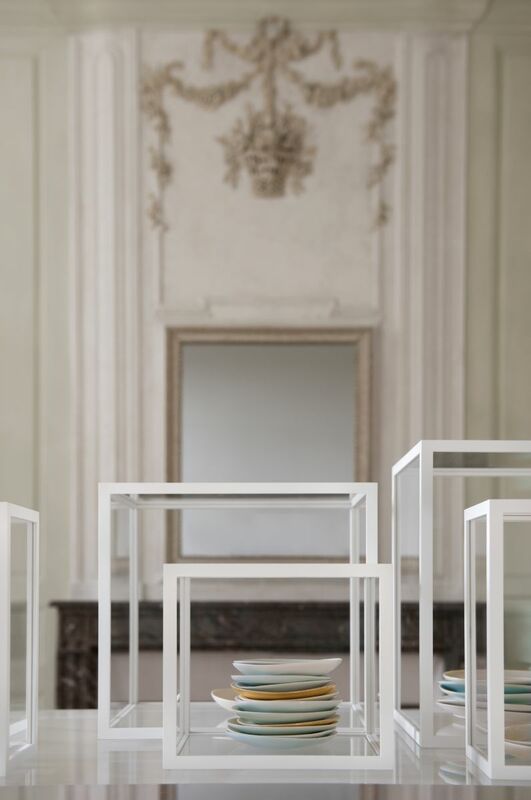 De Waal’s most recent solo gallery exhibitions include “Edmund de Waal: ten thousand things,” Gagosian Gallery, Beverly Hills (2016); and “Irrkunst,” Max Hetzler gallery, Berlin (2016). 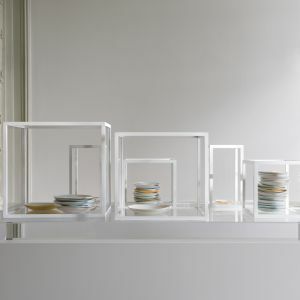 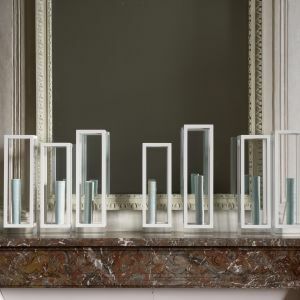 De Waal currently lives and works in London. 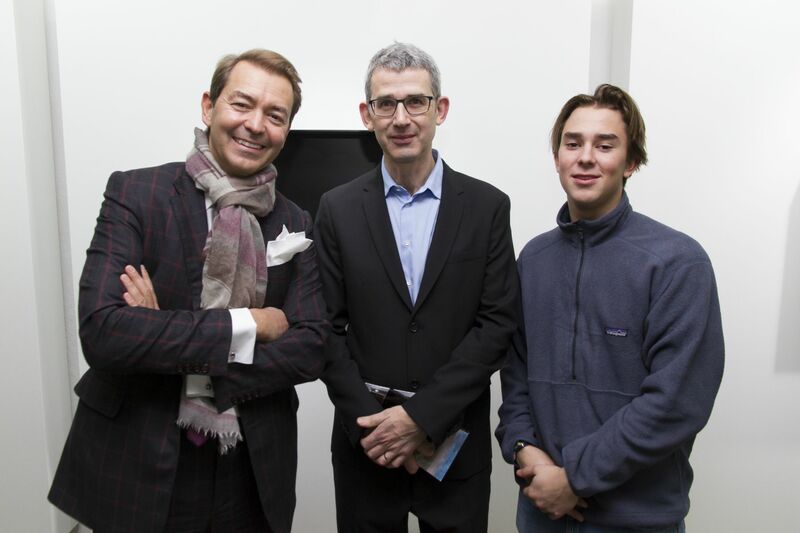 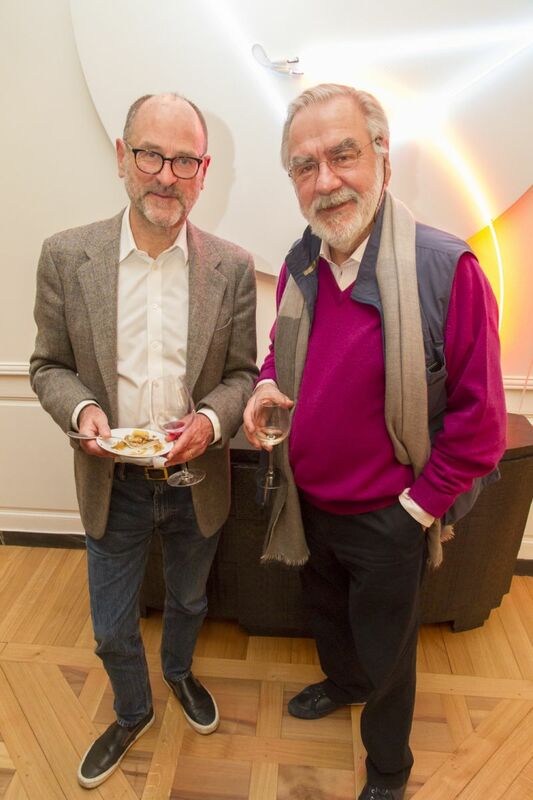 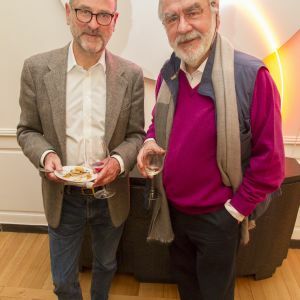 His acclaimed memoir The Hare with Amber Eyes was the winner of the Costa Biography Award and the RSL Ondaatje prize. 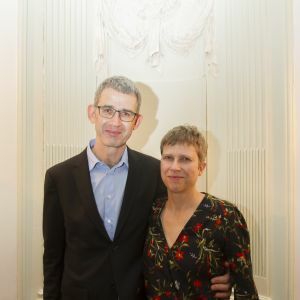 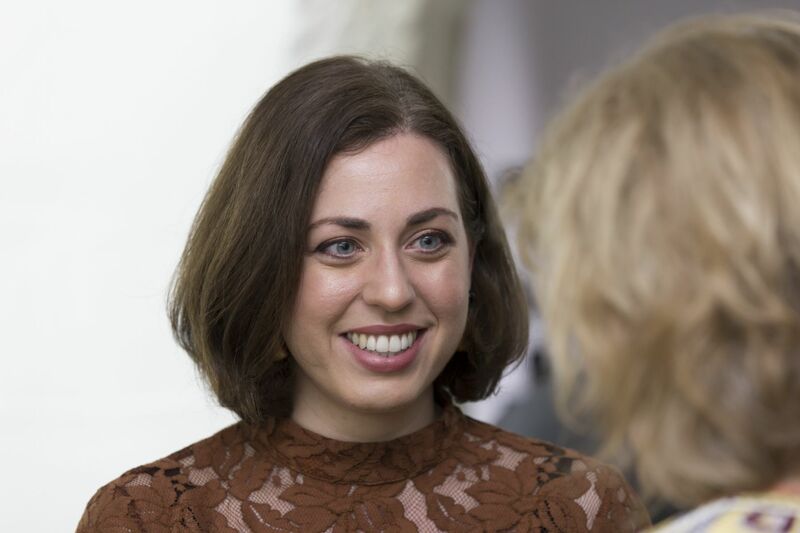 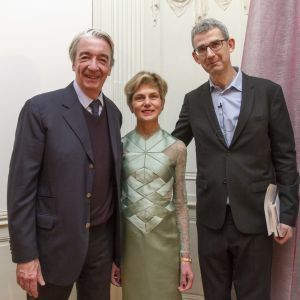 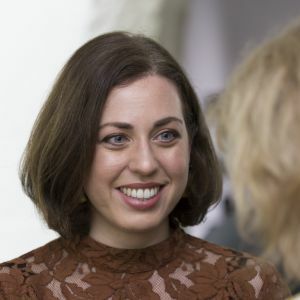 In 2015 de Waal was awarded a prestigious Windham– Campbell prize for non–fiction by Yale University. 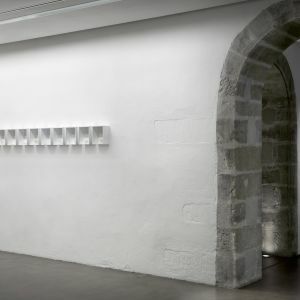 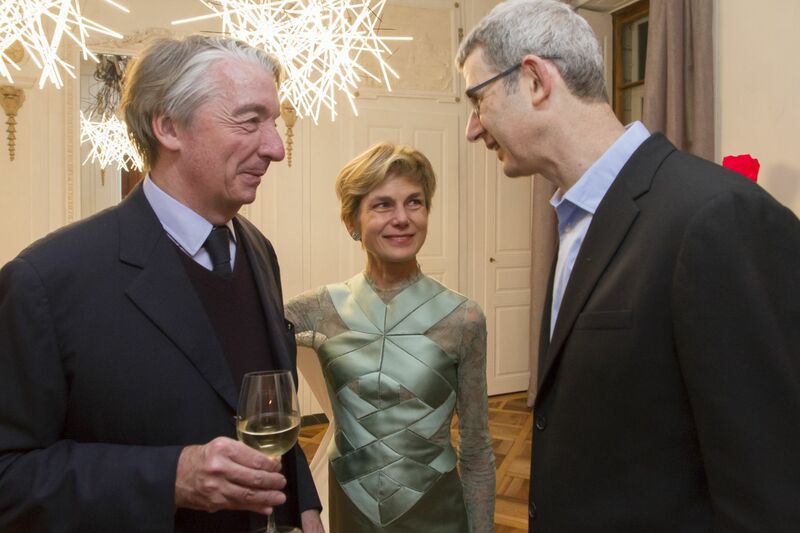 His latest book The White Road: a pilgrimage of sorts was published in November of 2015.